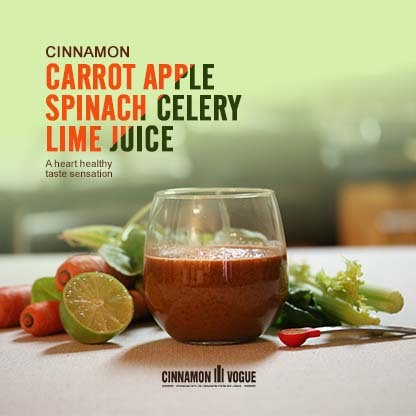 The vegetable juice recipe that actually tastes fabulous with Ceylon Cinnamon, Carrot, Apple, Spinach, Celery and Lime. The Apple and lime adds a certain je ne sais quoi to this recipe that makes it incredibly tasty and healthy. Even better you will feel the energy boost of this vegetable juice almost immediately. This is all you need for breakfast, especially on a hot summer day. Carrots apparently have a Glycemic load of one to two which means it has very little effect on blood sugar levels. We used a Breville JE98XL juicer which extracts the most amount of juice compared to a conventional blender. If you only have a normal blender, then add 8 oz (1 cup) of water in increments to blend. Wash and scrape the outer layer of the carrots, chop into 2 inch blocks and juice. Finally add the spinach making sure to cut the stem bulbs that are soiled. Add 1/4 Tsp. Ceylon Cinnamon powder and 1/4 of a lime, mix well and drink immediately. Yields about 1 cup of pure juice. You can add water as you wish to dilute it if you wish. Strain with strainer. We use a metal strainer and used a flat tablespoon to squeeze the juice. Strain small batchers at a time. Or you can buy a strainer bag . 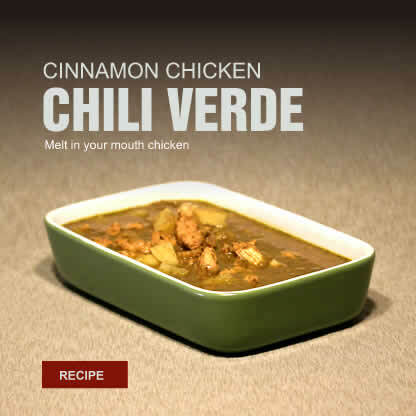 Add Ceylon Cinnamon powder and lime juice at the end and mix well. If using Cassia Cinnamon use no more than 1/4 tsp because Cassia Cinnamon tends to be spicy and bad for your liver in excess.